The AMD Radeon R7 M275DX is a Hybrid Crossfire combination of the integrated Kaveri Radeon R7 and a dedicated Radeon R7 M260, M260X, M265, or M265X (called Dual Graphics - DX). Both graphics cards use the AFR mode (alternate frame rendering) to each render a frame. Around 30 fps this Dual Graphics combination may suffer from micro stuttering due to different frame latencies. The performance depends on the driver support for the used game. In some cases the game engine will only use the dedicated graphics card and therefore the M275DX may not be faster than e.g. a M260 alone. The other end of the spectrum are performance gains of up to 61% in our tests (Alien Isolation Benchmark with high detail settings). This was measured with an ideal combination of a FX-7600P and a M260 with dual channel main memory configuration. On average we measured a 13% increase compared to disabled Dual Graphics when testing 25 games. Looking only at the games that gain from Dual Graphics, the M275DX was able to gain 34% (see diagram below). However, there are some games where Dual Graphics is even slower than with disabled settings, so the user might need to test the settings out. With some games and enabled dual graphics we also experienced problems (e.g., stuttering and flickering main menus in F1 2014 and Shadow of Mordor, wrong texture settings in Ryse, hanging game in Thief, graphical problems with Fifa 15 and Dragon Age: Inquisition). 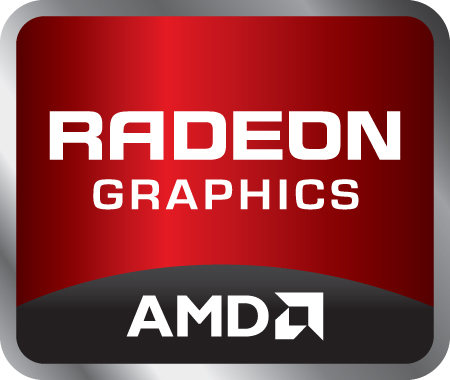 The shaders of both GPUs can be used for OpenCL calculations and therefore make use of both GPUs. Furthermore, the M275DX supports Mantle (only light gains in some scenarios in our tests), Eyefinity and Enduro to in battery mode (use of the integrated GPU alone). The maximum power consumption can be quite high using Dual-Graphics as both GPUs of the APU and the dedicated graphics card are running.